Yesterdays finds, ps1 stuff I found few weeks back to lazy to post em then lol. They're as common as Jordan I thought. I didn't know about the speed issues though. I know there's a nifty controller out there, by Nintendo, for use with the Super Gameboy. Does anyone remember the ads on TV for them? They were fairly pushed from what I remember. I've had one years but don't think I've ever used it. Might give it a go over the weekend. Space Invaders for the Gameboy is probably the most impressive. As a Gameboy title it's merely ok but plugged into the Super Gameboy and it's transformed, really really impressive. 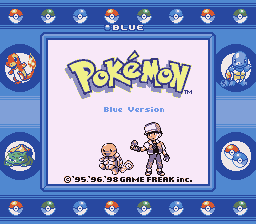 Yeah, the Pokémon games have fancy borders added when used on the Super Gameboy. That said, I have no idea where my Super Gameboy is. I think any of the DX labeled games, had some additional colours or something? The other must have if you own a Super Gameboy is Donkey Kong on the GB. While it is a stunning title on the Gameboy, the precursor of the DK vs Mario series, when you plug it into the Super Gameboy it is transformed. It looks like a showcase for the device tbh. Do the extra features and graphical improvements work with the Gameboy player for the GameCube or are they only recognised on the Super Gameboy? I picked up an SP101 on adverts, its kind of a project. Screen is perfect, housing is awful. Paid €30 or was it €35, something like that anyway. I'm picking up a logitech PS2/3 wheel later this afternoon which I cant wait to have in my collection. I'm hoping I can get it to work on my 360 with the right adapters too. If not its no big deal. I really just want it for the Ferrari game. The one that was in the arcades. Class. Also picking up a pink GBA on Friday. Its funny I've never owned a gameboy (other than the DS) and now I'll own two of them in the matter of weeks. Will post pics on the weekend when I have all 3 items together. Other than that not very retro as pick ups as they are for 360 but i took my first trip to a tesco with games today since all the madness kicked off. PGR 4. I'm pickin up a logitech steering wheel later so I'm increasing my racing games. 007 Quantum of Solace - its rare I dont enjoy a 007 even if they are poorly rated. Gears of War 2 with all the map packs - I sold this ages ago, wish I hadnt glad to pick it up again. My favourite horde games are in this one. Need for speed undercover - had hot pursuit enjoyed it so we'll see how this one plays. Prince of Persia Forgotten sands - havent played it so again looking foward to it. Looks nice in videos I've seen. Duke Nukem Forever - Again I know this gets poor reviews but for only a few euro I was sold. I'll play it with a load of beer in me. It'll be fun. Come get some!! Syndicate - I know nothing of this. Cover looked cool. Although I later saw EA had something to do with it. Oh oh spagetti oh. ok seriously have to stop buying stuff!! Was tempted to buy the retron 5 this morning when I saw it. Decided against it. So very tempted though. So this finally arrived after nearly 2 and a half weeks. Few scratches, but the buttons and screen are perfect. Last edited by marko93; 25-06-2014 at 13:51. Vectrex Roli did a nice review video of just that!